The "Gamers Heart Japan" special features interviews with top game media companies and game designers extolling their love for the island nation's culture. A couple of weeks ago, The Escapist and a bunch of other game media sites participated in an initiative to aid their brethren across the Pacific as they struggle with the repercussions of the massive earthquake that struck Japan on March 11th, 2011. Japanese culture has permeated the videogame industry for decades, and the Western game industry wanted to show its support for everything that Japan has provided with an hour-long documentary entitled "Gamers Heart Japan" After a lightning-quick production cycle compiling interviews from all over the world, "Gamers Heart Japan" will be broadcast starting Sunday April 3rd on websites and cable networks around the globe. "Everyone at Naughty Dog has the deepest sympathy for all those who are suffering from the terrible series of disasters that struck Japan. 'Gamers Heart Japan' is providing a great service to encourage the very close knit gaming community to give back to a country that has done so much to advance the state of art of gaming," said Evan Wells from Naughty Dog (Uncharted, Jak & Daxter). 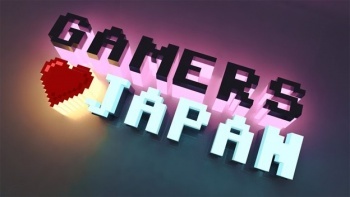 You will also be able to watch "Gamers Heart Japan" here on The Escapist on Sunday, so be sure to check back then to hear from the following major game designers on what Japan has meant to them.